I received an "expired credit card" notification from the pump machine when I visited a gas station this week, which surprised me because I’m somewhat careful about monitoring the timing of when I’m supposed to get my periodic statements or new credit cards. In this particular case, I discovered that my credit card is expired three days after the expiration date printed on the card. My immediate reaction was why have I not received a new credit card in the mail yet? Usually, we get our new credit cards about a month before the credit cards are expired. Being the positive person that I am, my initial thought was that the bank forgot to send the new cards. Having worked in the credit card industry, I know that the credit card expiration dates are automatically tracked to emboss the new ones for distribution way before the cards actually expire. And also being the suspicious auditor that I am, I started having negative thoughts that I had to somewhat control but my mind being the greatest trickster in the world, was playing with me by suggesting a) what if the card is lost in the mail, b) what if someone stole my card, c) what if someone found my lost card, d) what if someone is using my card, e) what if there are thousands of dollars of transactions on my credit card account right now, and what if, what if, what if. So I went right to my computer in a hurry and checked my account history on line and luckily discovered no unauthorized charges were transacted on my account. I also immediately contacted the bank, which could not confirm to me whether the card was lost in the mail or they failed to mail the new credit card in the first place. There is a big difference between the two scenarios and I wish they could tell me they failed to produce and mail my new card because at least I know it could not be in the wrong hands. Therefore, not knowing whether the card was produced or where it might even be, I requested a new card, canceled the old one, and decided to monitor my account activity as often as possible until the replacement of this expired credit card is fully resolved. 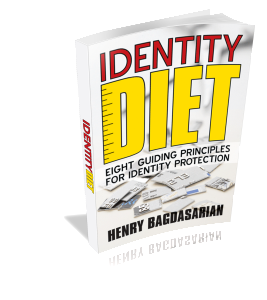 Learn about Identity Diet services after reading "expired credit card".